This client has done awesome, however the last few weeks they’ve fallen off track and found it difficult to keep their momentum going. 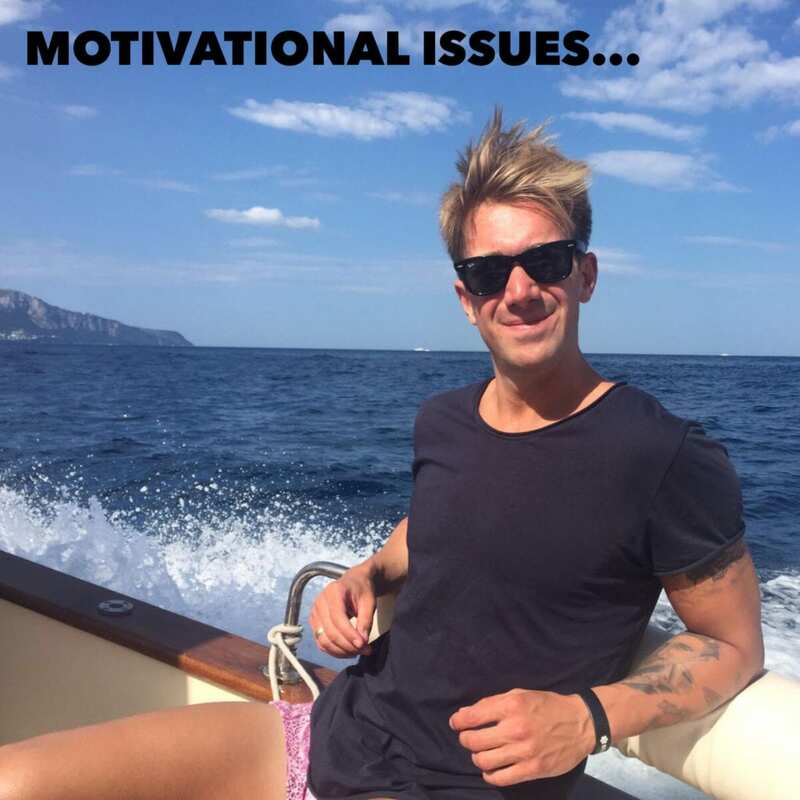 The truth is that I think we all suffer with a lack of motivation at times. I must admit that I’ve found it difficult at times to get my self motivated for the gym this year…. Back when I was at Sheffield Hallam Uni my main focus was the gym (not uni lol!) I would go for 2hrs a day. Then when I left uni my 2 main focuses were the gym and building up my business LEP Fitness. Instead of spending 2hrs in the gym 7 days per week, I now only train 4x per week for 45-60 minutes. At times I find it hard to balance work/family life. Often working long hours and feeling guilty for it! Any spare time I get I want to spend it with my family and friends and the gym is something that takes up time! Regardless of how I feel I show up and put in the work. Even if I’ve had 4hrs sleep, and look like I’ve been dragged through a hedge backwards. I show up and do it. This has served me well. I’ve made sure to go to the gym 4x per week this year and I’ve stuck to my goal. You’ll always feel better after a session. If I suffer from a bout of low motivation I’ll figure out what’s going wrong and start to address these areas. It’s amazing how quickly you can get your mojo back. If you’re struggling with motivation then take some time out and make the necessary changes that will make you feel good again. For example you’re unhappy at work, therefore you eat rubbish and feel like crap, your health suffers, relationships suffer and you have ZERO motivation do anything about it! Don’t beat yourself up, it happens to everyone. Dust yourself off, reevaluate your priorities, make some positive changes, and start focusing on making yourself happy again.